Listen to your music inside of Minecraft. 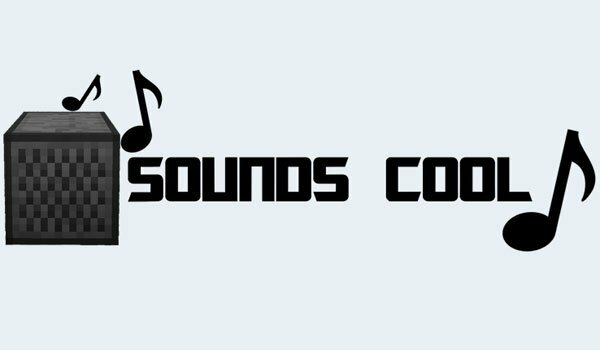 Sounds Cool 1.7.2 is a mod with several interesting things related with sounds and music. First and perhaps most prominent is that we can play music from your computer into the game. The formats that can be played are .mp3, .wav y .ogg. To access the interface that lets you select music, key the “/sounds” command in Minecraft chat . Then access to the folders on your computer and select the songs or sounds you want to hear . But that’s not all , because you can also add custom sounds such as opening the door sound. This can be done by adding redstone signal, usually used to open a door, to trigger a turntable that adds the mod called “Sound Player ” which will play the sound file that you have choosen. The mod allows to listent to the music in both, individual or multiplayer games, so you can also share the music with your friends while playing Minecraft. This mod is still in development , so it may contain errors. We will be posting the updates. How to install Sounds Cool Mod for Minecraft 1.7.2? Listen to your favourite music in Minecraft!